KISS bassist Gene Simmons will record a duet with Engelbert Humperdinck for an upcoming duets album by the crooner. Humperdinck’s duets album, due in October, already has an impressive line-up of stars who wanted to be part of the project. The 77-year old British pop singer is best known for his number one hits "Release Me" and "The Last Waltz", as well as "After the Lovin'". 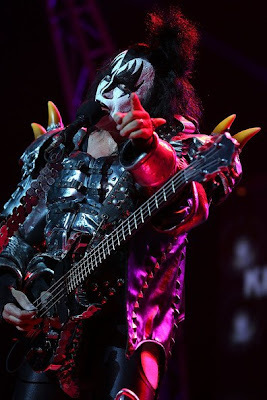 Simmons and KISS kicked off their extensive Canadian summer tour in support of their latest album, “Monster,” last week in Victoria, BC; the month-long trek wraps up with two dates at Mile One Stadium in St. John’s, Newfoundland in early August.